this is the month for type design! 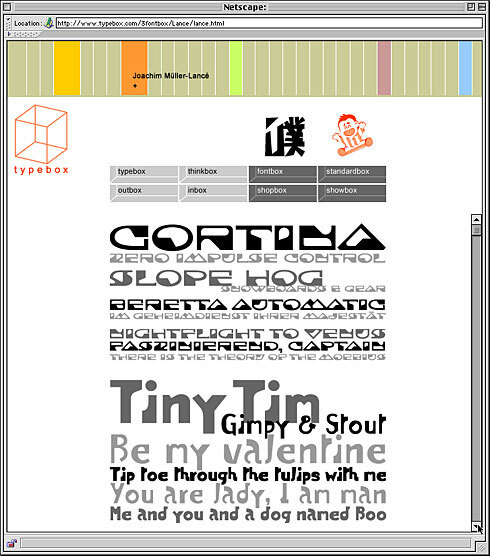 a new company for typefaces and thinking inside the box. to go on sale in april 2001.
the color bands at the top lead to designer biographies. see previews of the january release.